Tony Soprano is gone. So is the actor who played him. But his car is still around and now it can be yours. 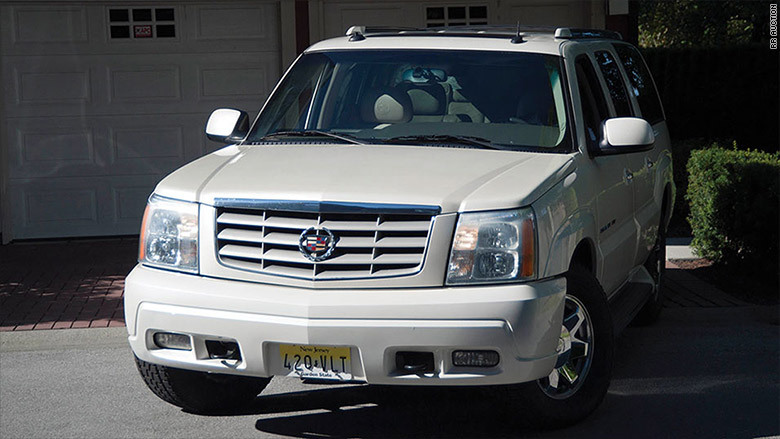 A 2003 Cadillac Escalade used by the late actor James Gandolfini in HBO's 1999-2007 mega-hit "The Sopranos" will hit the auction block on November 12. The SUV has a resale value of about $8,000 -- but RR Auction expects the TV-famous car to go for $30,000 to $50,000. The car is one of two Cadillacs that were used for filming -- its twin sold for $49,500 back in 2008 according to RR Auction executive vice president Robert Livingston. Livingston said its online auctions draw "bidders from all over the world." "If there's two people [interested], it could go really high," he said. "It's a fantastic historic car." A 1999 Chevy Suburban used in early seasons of the show netted more than $110,000 when it was auctioned off two years ago. The show aired on HBO, which like CNN is owned by Time Warner (TWX).